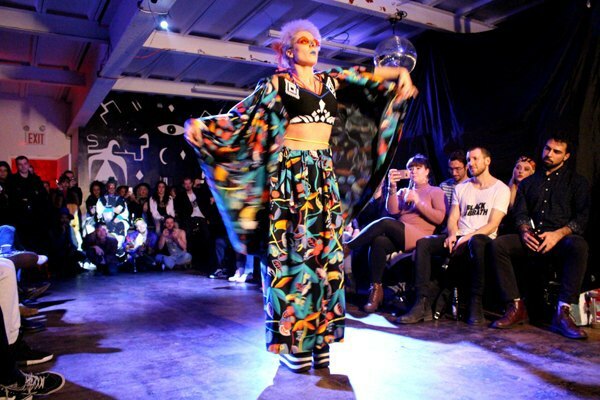 Bushwick Fashion Night was held at the Umbrella Factory last Wednesday, breaking the NYFW mold with stylish theatrics, dance performances and diversity on the runway. We're knee-deep in New York Fashion Week right now, which means Instagram is blowing up with runway snaps and designer hashtags. Sasha Charoensub & Oliver Correa of local labels The Loner & MASS had their own ideas for kicking off the season. 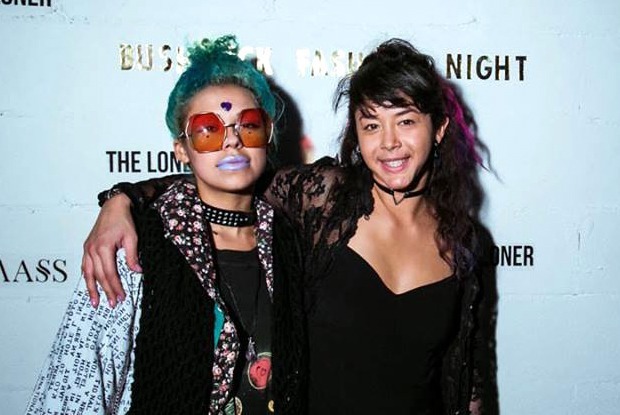 Bushwick Fashion Night debuted at The Umbrella Factory on Wednesday, Feb. 8, right before the weeklong fashion festivities kicked off around the city. All photos by Rebekah Mikale for MASS. "This is a passion project," Correa told Bushwick Daily. "We want to let local Brooklyn artists showcase their work and highlight talent in our community." Opening with a high-energy dance performance by Bryson Jenkins, the showcase unveiled a range of creative clothing, from Isidoro Francisco’s embroidered bomber jackets and pinstripe jumpsuits to Vestment’s floor length graphic robes over The End’s ultra-modern lingerie. A refreshing level of creativity and theater emerged as the night unfolded as models ditched the generic runway walk in favor of dance moves and ceremonial processions. In one case, two models were bound together by the waist and ankles. RA+RE Clothing used giant sliced-in-half disco balls for playful punctuation. The highlight was an enthralling collection by LVDF Design by Lukas van der Fecht, a designer-producer whose aesthetic prowess landed his designs on FKA Twigs last year. A global spectrum of silhouettes paired with a cast of diverse models had onlookers applauding-especially when one model pulled back a floor length robe to reveal her pregnant belly. 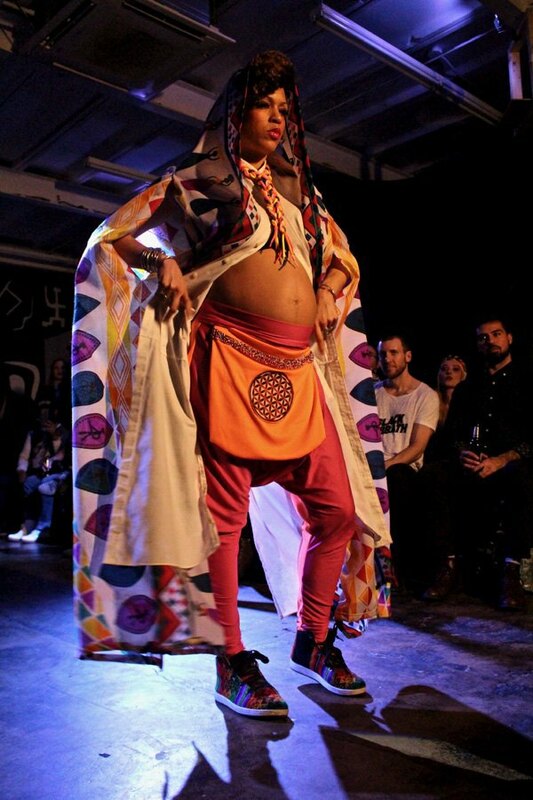 “Bushwick Fashion Night is here to inspire, provoke and arouse through bespoke productions like this one," said Correa. 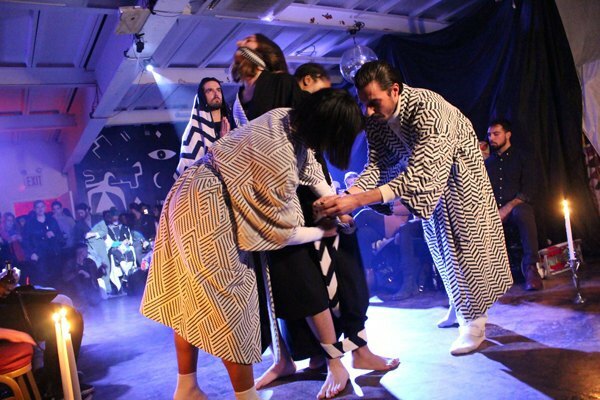 "We're excited to spark such a fun, refreshing remix of the sometimes stagnate runway scene." Ultimately, the show was a welcome reminder of the innovation and beauty that pulses in our neighborhood. 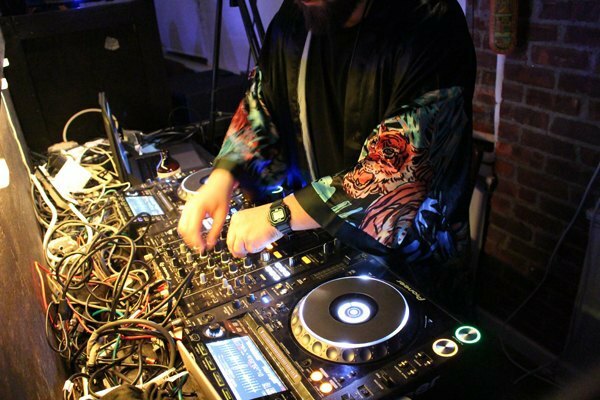 It also potentially paved the way for future Bushwick fashion events to flourish. 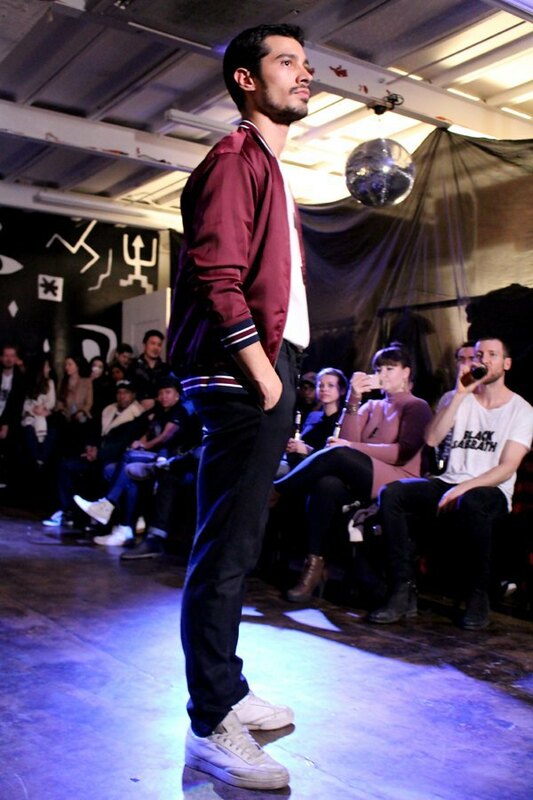 Cover photo by Sasha Charoensub for Bushwick Fashion Night.